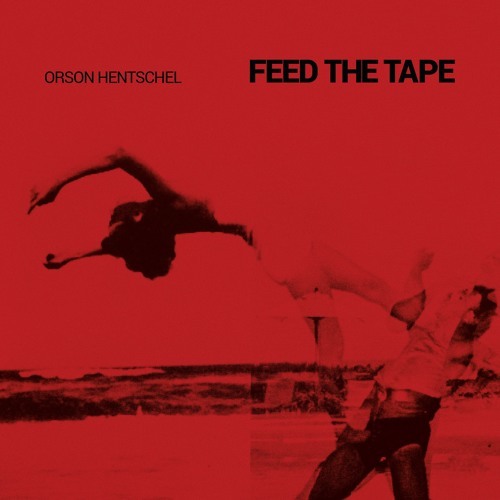 from 'Feed The Tape' [CD|2xLP|DIGITAL] Denovali Records · den247 available on all formats at [http://denovali.com/orsonhentschel] Orson Hentschel is a German composer and producer based in Düsseldorf. Having started to play classical piano at an early age, he now mainly composes electronic, experimental and film music. His debut "Feed The Tape" is strongly influenced by Classical Minimal Music. Especially the compository methods of Steve Reich such as phase variations, looping and imitation enter Hentschel's work. However, these methods serve as characteristic compository elements rather than being in the focus of the pieces. The loop, which often is the starting point of one of Hentschels works, usually plays the role of a constant sound substrate on which harmonic-melodic elements can thrive. Although Hentschel went through a classical musical education, his compositional techniques are by far not traditional. In fact he does not start with a musical idea, but with searching for suitable sound material. His interest lies in sounds and samples which had been used in a music or film music context before - film audio tracks, soundtracks, music albums, internet, sound libraries etc. He estranges this source material in order to create his own sound - hence the name of his debut album. Hentschel's interest in polyphonic vocal music from the late middle ages - especially ars nova and trecento - stems from his earlier study of musical science in Vienna and Dresden. For this reason two of his pieces (Florence, Slow-Moving) contain music from this epoch in a processed form. Hentschel does not consider himself as a composer of contemporary music, but as a multimedia artist. He developed his own audiovisual performance, based on the interplay of light, visuals and fog. Moreover he is supported by live drummer Lukas Baumgart and together him and Hentschel create an energy which can be heard as well as felt. His aim is to take the listener on an hour-long journey which brings him to the limits of what he can bear. This is achieved by extended repetitions and long arcs of suspense rather than sheer volume.